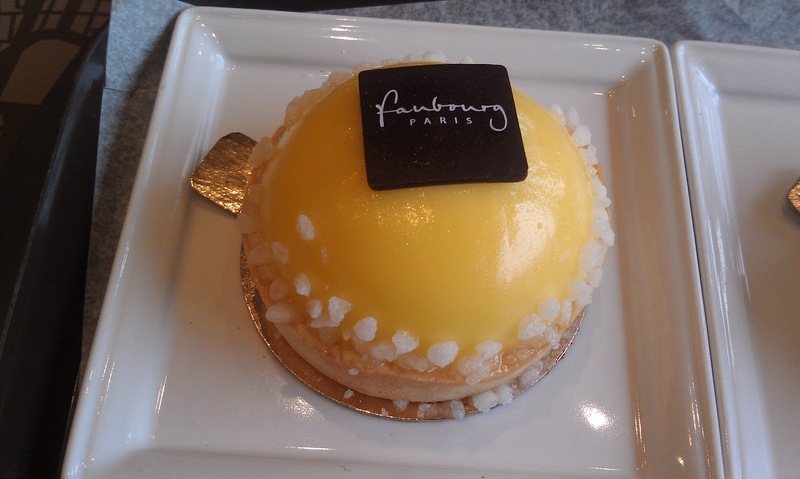 I was on the bus with a friend that passed by Faubourg and we both pointed to it saying that we've always wanted to try but never did. So we got off the bus and headed straight to the beautiful bakery. The inside was clean and a low hum kind of busy. 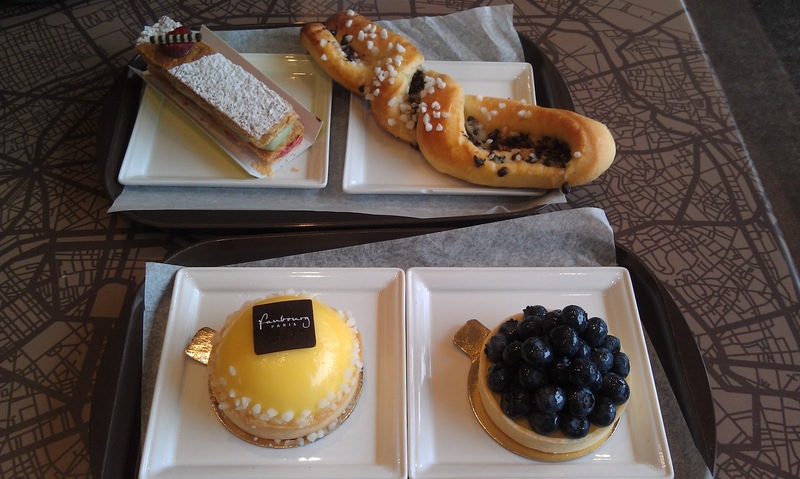 My friend and I ordered four items to share and eat at the little tables at the front of the bakery. 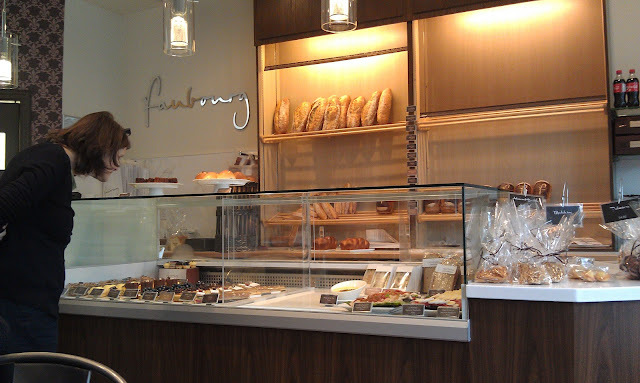 In the back of the bakery there is a section that serves high tea but we were free to sit at the front and self serve. Lemon tart: The dome has a jelly texture and the white crystals are sugar but it isn't too sweet! 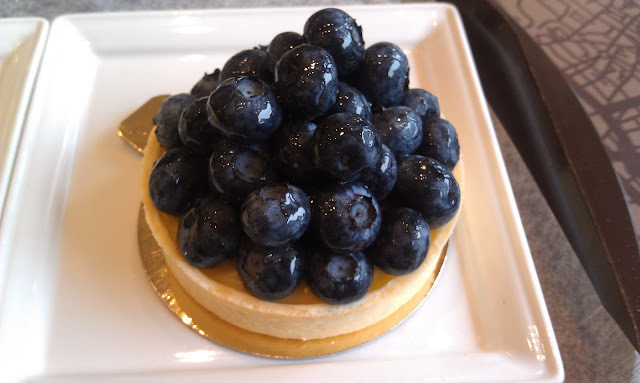 Blueberry tart: A buttery tart filled with semi-sweet custard topped with a MOUND of blueberries. Personally as a blueberry lover this was great! 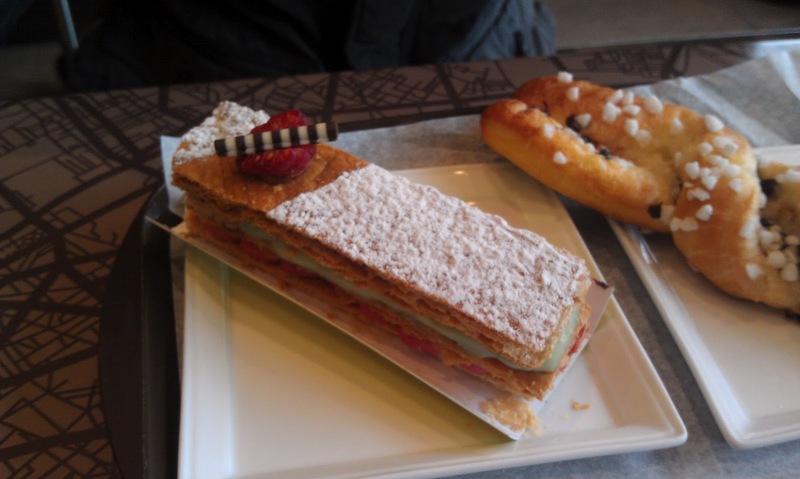 Mille Feuille: Isn't this so cute? 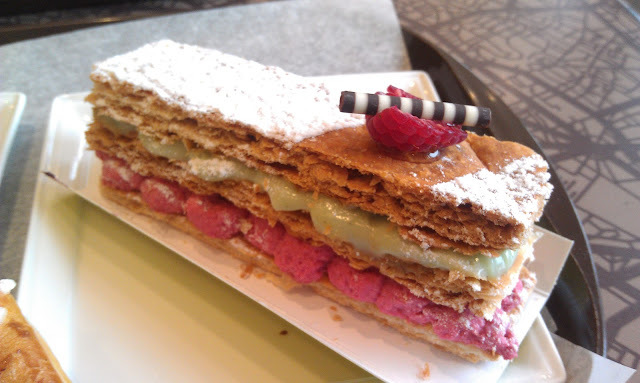 This one has pistachio and raspberry cream. The layers were buttery and flakey. I didn't take an individual picture of the bread but it was a chocolate twisted bread with sugar crystals on top. Nothing too special but it did taste good. Total spending was around $20 (including tax) for these four items. Overall, I'd like to visit Faubourg again some time especially since they have macarons now!